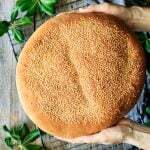 Making your own delicious muffaletta bread from scratch is suprisingly simple, and the final loaf tastes fantastic. Even beginning bakers can do this recipe. Follow along with the instructional photos, and have fun baking! What does the word muffaletta mean? Muffaletta is a famous sandwich that originated in New Orleans at Central Grocery. It was invented in 1906 by Salvatore Lupo, the owner of Central Grocery. A muffaletta sandwich is made from a kind of Italian bread split in half and filled with olive salad, cold cuts, and cheese. 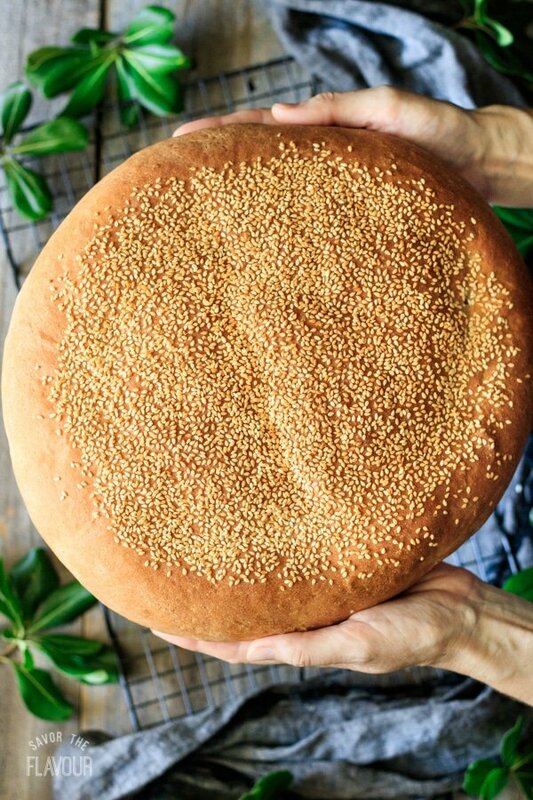 What kind of bread do you use for a muffaletta? 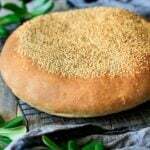 Traditionally, muffaletta is made with a rather flat, 10-inch round loaf sprinkled with sesame seeds on top. The bread should have a light-textured interior and thin crust. 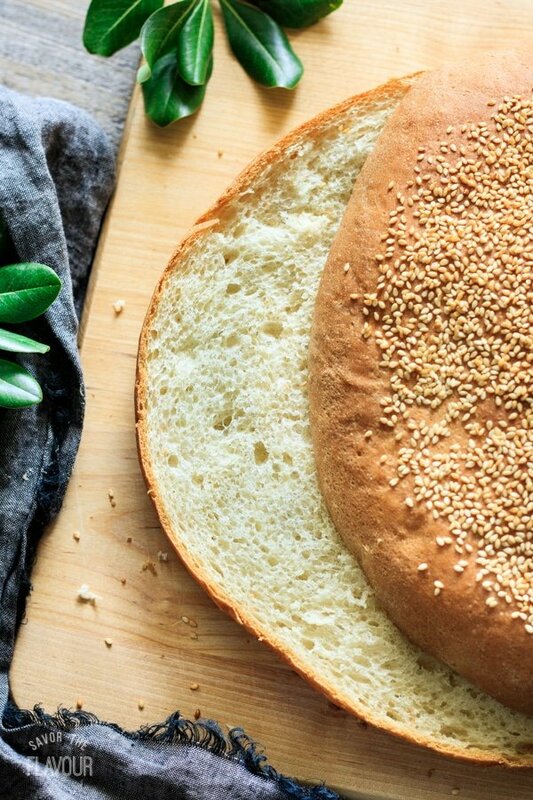 Since muffaletta bread is an Italian-style loaf, it contains the basic ingredients of flour, yeast, salt, and water, plus the additional enrichment of olive oil, sugar, and sometimes egg. 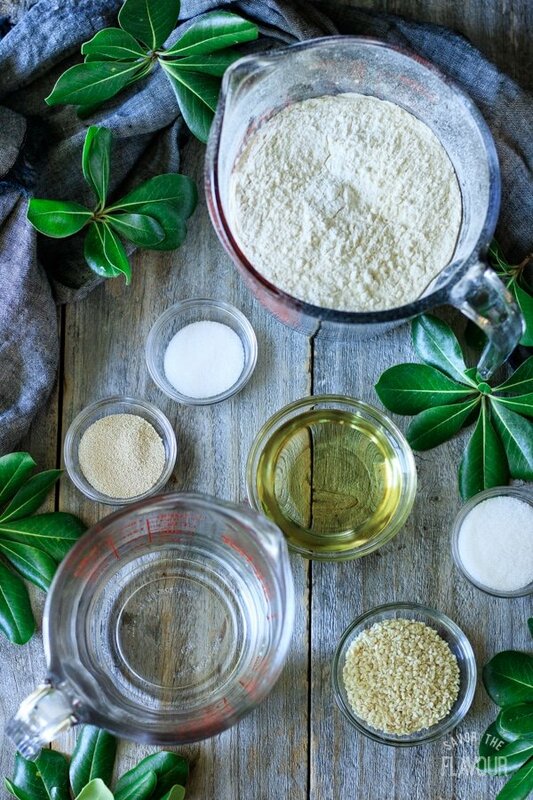 Start by measuring out the ingredients: bread flour, yeast, salt, sugar, olive oil, and water. 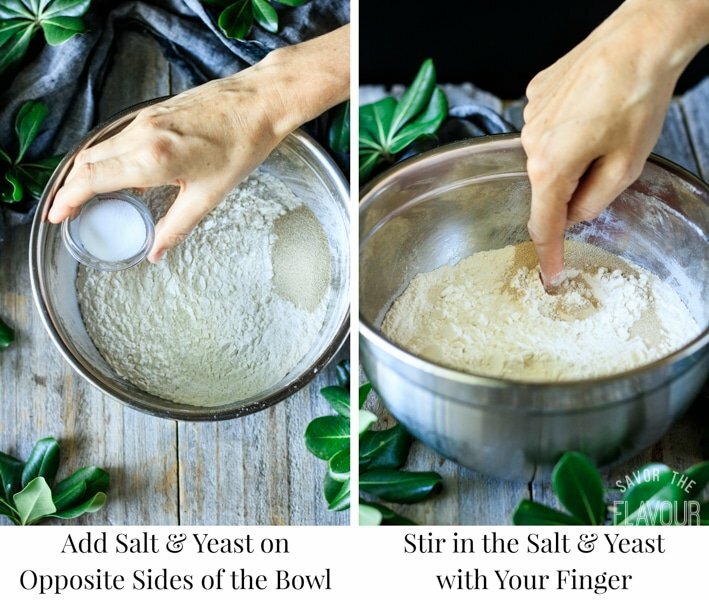 Add the salt and yeast on opposite sides of the bowl (the salt can kill the yeast if it touches it), then stir them in with your finger. 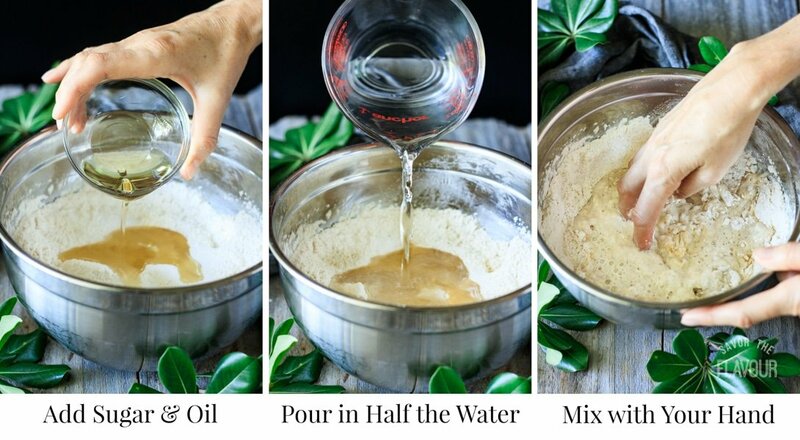 Pour in the sugar, oil, and half of the water. 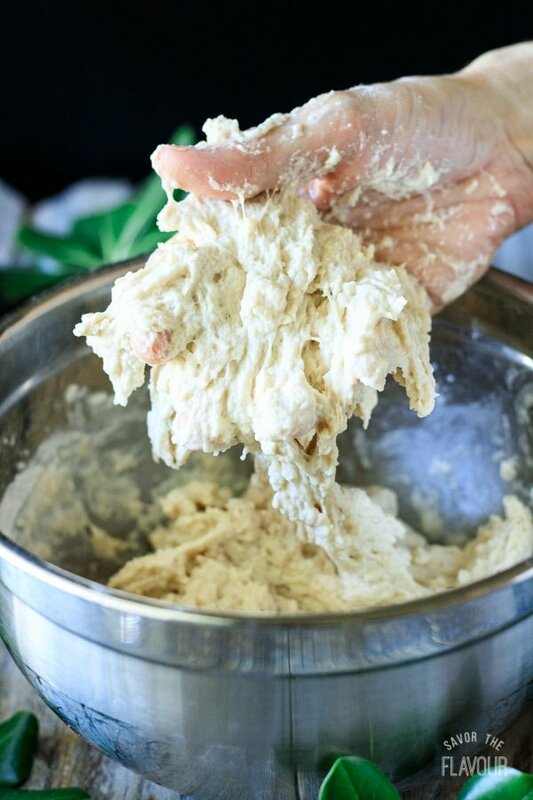 Mix with your hand to start making the dough. Gradually add more water and keep mixing until all the flour is picked up and a sticky dough forms. Knead the dough on a floured surface for about 10 minutes until it’s less sticky. The kneaded dough should pass the windowpane test. 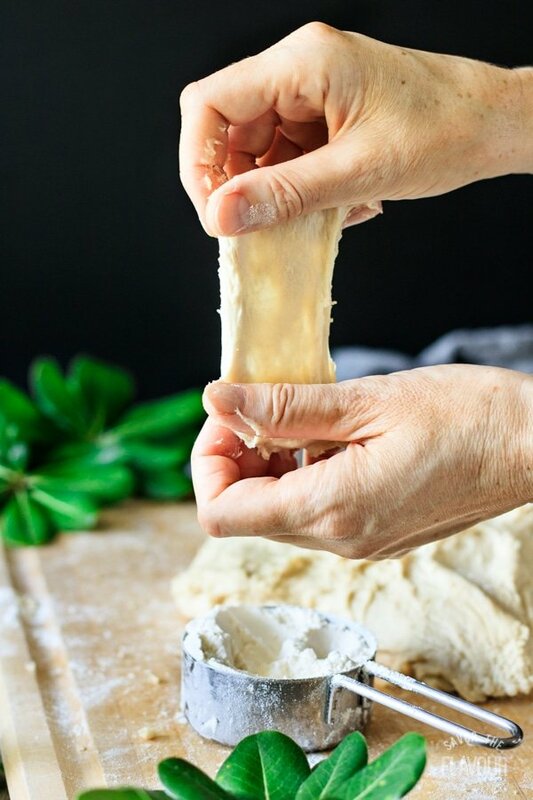 If you can stretch a piece of dough until it’s translucent without breaking, then it’s kneaded enough. If not, knead a little longer and test again. Place the dough in an oiled bowl, cover, and let it prove until at least doubled in size (about 1 1/2 hours). Punch down the dough in the bowl, then shape the dough into a flat disc about 9 inches in diameter. The loaf will increase in diameter to about 10 inches as it proves and bakes. Lightly spray the dough with water and gently massage it in. Sprinkle 2 tablespoons of sesame seeds on top, then gently press them into the dough. This gives the muffaletta bread its signature look. Prove until doubled in size (about 1 hour), then bake. Let it cool for at least half an hour before slicing. Get your fingers sticky! 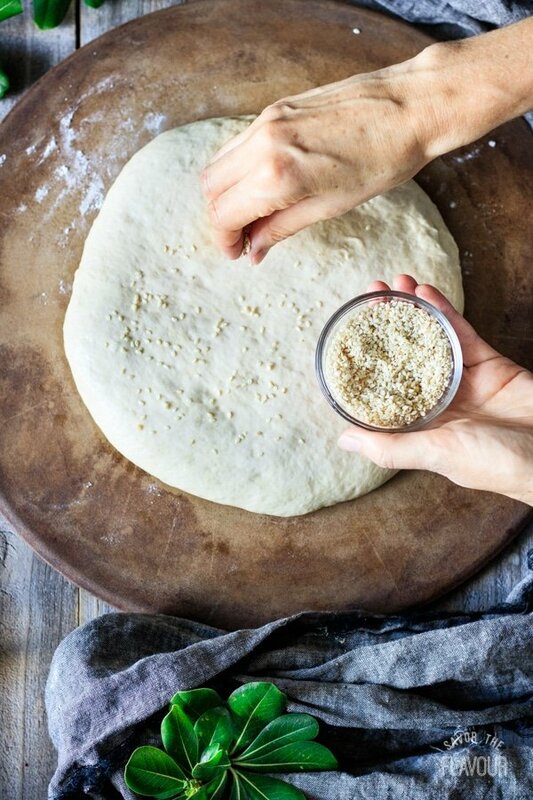 Making bread is a hands-on process. 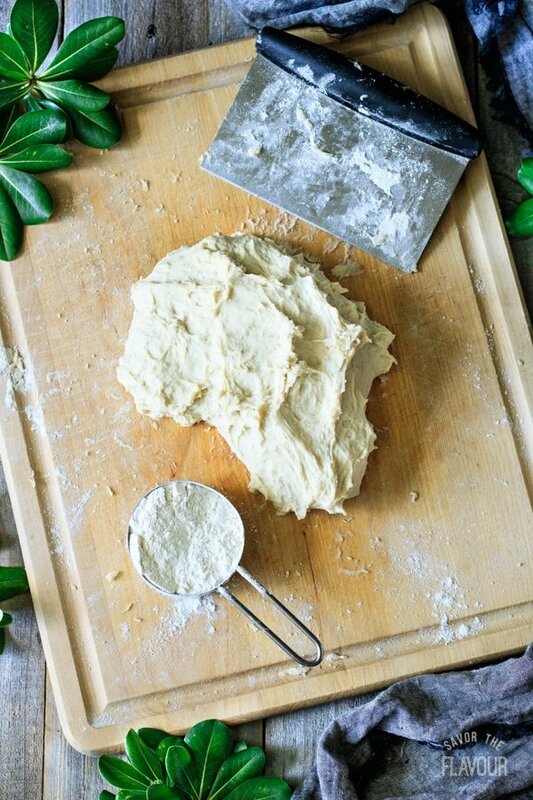 If the dough is really sticky when you’re kneading, simply add more flour to the work surface. Just be careful not to add too much–the dough shouldn’t be dry. 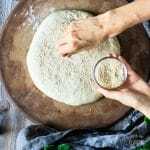 Keep the dough out of hot places when it’s rising, or it will grow too quickly. 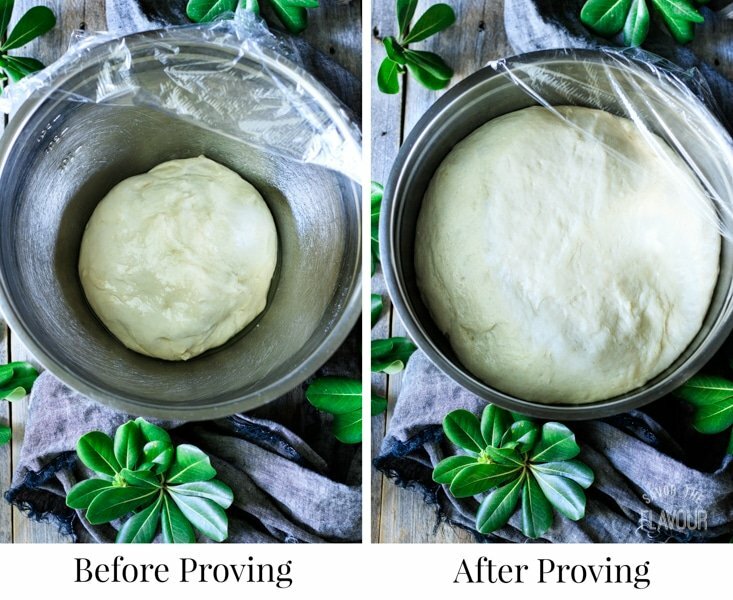 A slow prove will make a better flavored bread. Spraying the loaf with a little water before sprinkling on the sesame seeds will help them stick to the dough better. Let the loaf cool for at least 30 minutes, preferably an hour, before cutting. The bread will be very soft and doughy if you try to cut it too soon. 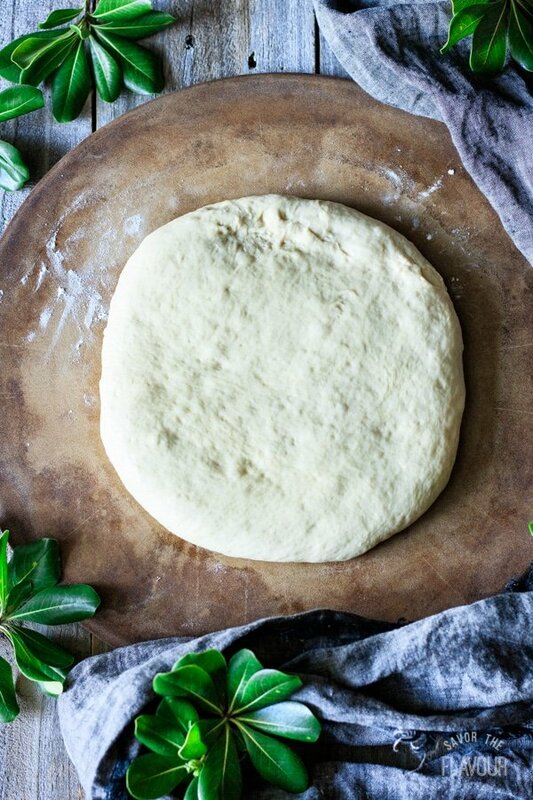 If you’re in a hurry, make the bread dough the night before and let it prove in the fridge overnight. Shape it into the loaf, prove, and bake the next day. Are you hungry for a slice of a muffaletta sandwich? I’m glad we have some in our fridge to enjoy later on today. It’s worth the time to make from scratch! Turn your homemade muffaletta bread into an unforgettable sandwich. 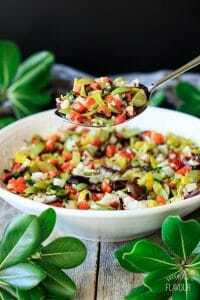 Olive Salad for Muffaletta: this colorful, Sicilian-inspired salad will add a fabulous flavor to your muffaletta. 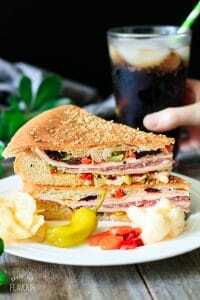 New Orleans Muffaletta Sandwich: an impressive layered sandwich full of meat, cheese, and Italian flavors. 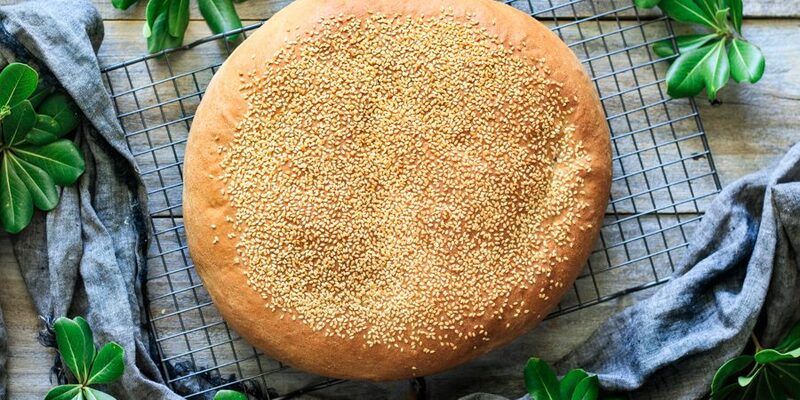 Share how you enjoyed this muffaletta bread recipe by leaving a recipe review below. We’d love to hear your thoughts! I’d recommend sticking with bread flour, since it contains a higher protein content. The extra protein gives the dough more gluten, resulting in a chewier texture and higher rise than you’ll get from all-purpose. Only use all-purpose if you’re in a pinch. 🙂 Hope this helps!! So a stand mixer is out? This really looks great! I do think though that you mean to “proof” the dough. Thanks for the recipe, I’m going to try it soon. Hi Rebecca! Yes, proving and proofing are the same thing–just different terms. 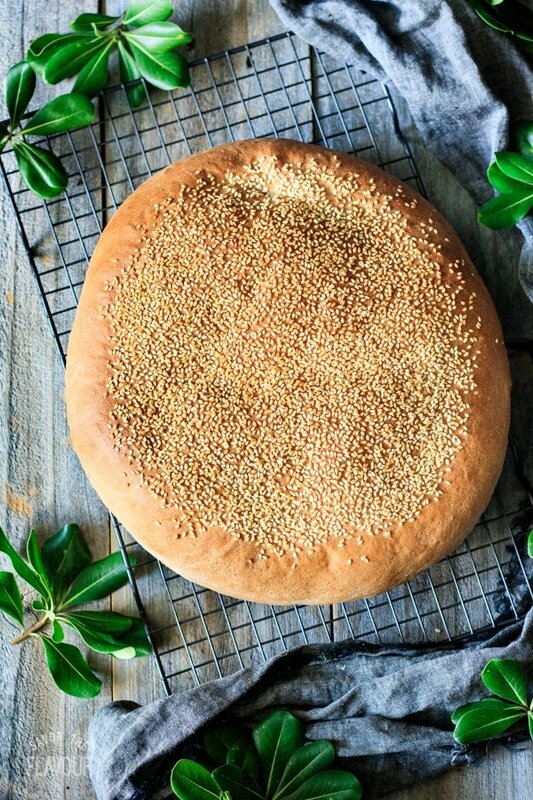 🙂 I’m really excited to hear that you’ll be making this muffaletta bread soon!! !